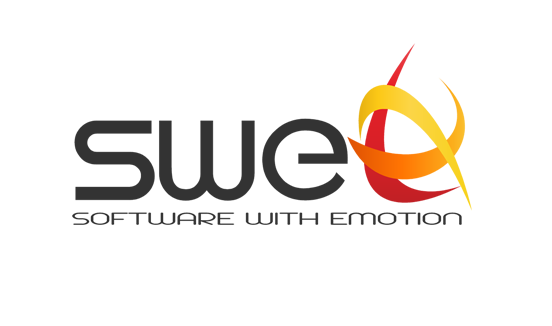 Our creative team is experienced in designing, developing and managing online applications, quickly and effectively. Internet is now available everywhere and web-based applications are now the backbone of online productivity. Through web applications, you will be able to do your work and access your data from any device: desktop, laptop, tablet, smartphone... and all without the hassle of installing, upgrading, or the risk of losing files! We combine the use of state-of-the-art but stable technologies with the most advanced programming methodologies to develop, in record time, an high-quality web application tailored to your specific needs. You don't need to settle for generic products, you can have the software you've dreamt of! 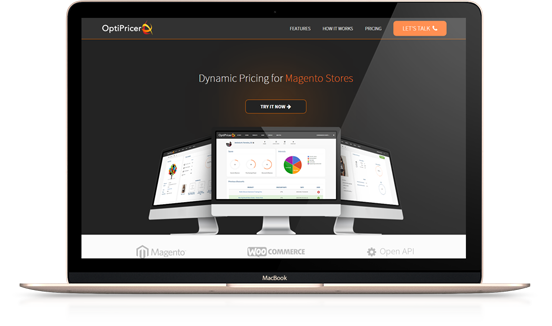 Our award-winning patent-pending technology is able to understand aspects such as financial power, social influence and interest in a product from a customer's online profile in order to show him a price that maximizes conversion and profit. QEM is a software development tool that automatically creates testing environments for each individually developed feature, allowing a product manager or customer to quickly change between each feature to validate from a quick-action-sidebar. It's the piece that was missing for achieving perfectly fluid continuous delivery. 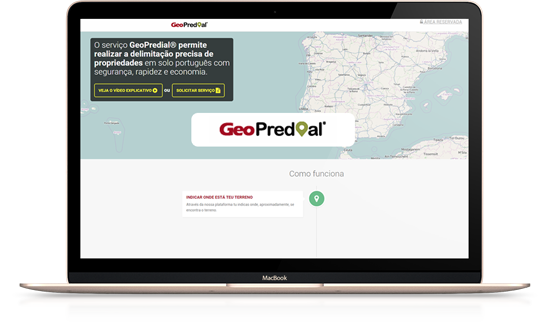 Geopredial's incredible user-guided system is the perfect answer to all legal and paperwork issues involving land and terrain legal delimitations. 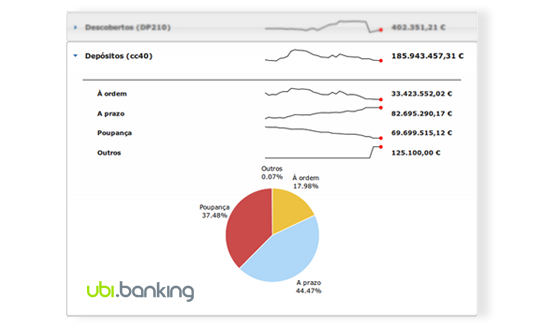 A powerful management tool developed to ease internal banking processes through customized workflows and data analysis tools. Includes multiple independent modules from credit analysis to customers management. Used by 8 portuguese financial institutions! 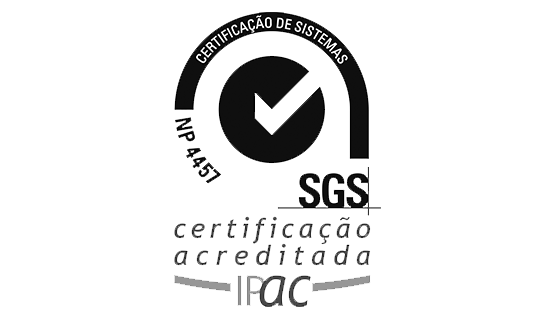 With the support of QREN, we created a formal research, development and innovation department, and established certified (NP4457) processes for managing innovation in our company. In such department we've developed technology for multiple distinct businesses, such as software development, retail or banking. SWE is an ambitious project that aimed to establish techniques to deliver personalized storefronts by analyzing customers' profiles using intelligent algorithms. We use an adaptive development approach that is focused on a frequent delivery of value and of new or improved features. We implement cutting-edge quality control methodologies that allow very quick development without compromising stability or scope. Our software management methodologies promote very frequent deployments of the evolutionary solution under development, which allow you to not just imagine it, but see it taking shape and interactively take an optional part in modeling it! Most of information being constantly gathered can be directly tied to a place, whether it is a customer's home address, its current location, or the exact coordinates where an event took place. Contextual information: show only the most relevant information for a user, based on its current location. Easy visualization and manipulation: we provide rich user interfaces that allow for interactive ways to visualize and manage geo-referenced information, no matter the way it's stored.